Amidst hue and cry in the North East states of India demanding withdrawal of the contentious Citizenship Amendment Bill, 2016 passed by the Lok Sabha on Jan 8 this year, the BJP government is all set to present it in the ongoing Rajya Sabha and is confident of passing it. As per report by news agency BJP General Secretary in-charge of North East Ram Madhav had stated that the Citizenship (Amendment) Bill, 2019 (CAB) will be placed in Rajya Sabha for approval in the ongoing session as supplementary bill as talks are on with aggrieved parties to find a middle ground which will satisfy all. An Assam based newspaper Pratadin reported that the Bill will be tabled at the Rajya Sabha on February 12, the penultimate day before the Rajya Sabha adjourned sine die. Mr Madhav added though the bill was not listed in the business list of the Rajya Sabha, it could be introduced in the upper house as supplementary bill anytime during the session, the report added. According to another news source, the BJP is now confident that the Bill will get passage in the Rajya Sabha as they are calculating to get majority number after the BJP had garner support of the Samajwadi Party (SP) and the Bahujan Samaj Party (BSP). The report said that both the party will abstained from voting while passing of the Bill. If both the party abstained from voting than supporters of the CAB gets 123 while those opposed the Bill will reduce number to 103. It is also learnt from reliable source that even the NPF MPs may abstain from voting in the passing of the CAB 2016. People Alliance of Manipur (PAM) shows gratitude to the people of the state who volunteer to take part in the mass protest organised by PAM on the 3rd and 4th of February. In a Press meet held at AMMOCOC office today Convenor of PAM Wahengbam Rameshwor urged the people and the other CSOs of Manipur to protest and fight against the bill until it is withdrawn from the parliament. He further said that they will not compromise at any cost but will intensify even more until the contentious bill is withdrawn. For the indigenous people of the North Eastern states, the Citizenship Amendment Bill, 2016 is a crush, but for the mainland Northern and southern states it is not, renowned journalist from Guwahati told this newspaper today morning. For the easterners it’s about protection of the land, identity and culture, but for those in the mainland Indian states in North and South it is politics and as for the BJP they win whether lost or win in Rajya Sabha. Total MP (Lok Sabha) seat in the eight states of North East is 25. Of this except for Mizoram the BJP had started rooting in the soil of all states with 4 Chief Ministers. As for Assam, Manipur, Tripura and Arunachal Pradesh, the BJP was confident in winning even after the passing of the Bill. “Of the 25 wining 4 or 5 is okay if the CAB can play well in the state of Wes Bengal which have 42 MPs. CAB’s issue is considered by the BJP to topple the Trinamool Congress”, a political analyst said. “As you see the BJP is playing hard politics right now in West Bengal giving no notice to the hue and cry of the common people of the NE states, it is natural that North East states are not considered that important as it takes on others”, another Manipur based journalist said. With various speeches from the President and Prime Minister being Pro CAB, the people of the North East States increases their anguish towards the government. Manipur People against CAB (MANPAC) a body which is spearheading the protest against CAB at Manipur today declared to intensify the protest against CAB demanding to withdraw it. In a Press meet held at the office of JCILPS here in Imphal, Co- Convenor of MANPAC Amu Kamei declared that the body will organised an indefinite mass agitation on the roads and highways of Manipur from tomorrow until the contentious CAB is withdrawn from the parliament. He said that the protestors are going to come out in the streets and as a mark of protest, they will stay in the streets continuing their daily chores in the streets from praying to eating to reading etc. He appealed the people from different communities, both the hills and the valleys in every nook and corner of the state to join and take part in the protest. Amu Kamei also said that the bill if it becomes an act is like slow poison which will eventually genocide the whole indigenous race of the North east people. He further said that they will fight tooth and nail until the bill is withdrawn from the parliament. He further condemned the present government for their appeal to the central government to add a clause in the CAB. He said that the people of Manipur will not tolerate with the adding of clause in the CAB, the bill should be completely withdrawn, he added. Kamei further condemned the speeches of President and Home minister regarding the bill as unconstitutional. And he also said that the very bill is unconstitutional as it is in-secular in nature. He added that future doesn’t hold good for the indigenes if the train comes to Manipur. So the government should withdraw the bill. He further appeal to the legislature of the state that they should take a firm decision to resign from their respective seats if the said bill is passed in the parliament. Co-convenor of MANPAC Phundreimayuym Abdullah also said that they will continue to fight until the Bill which would genocide the indigenes of the North East. He further added that it is the need of the hour to save the indigenous people to avoid the faith of the indigenes residing in Tripura. He questions Prime Minister Narendra Modi, regarding his speech as the illegal migrants as the sons and daughters of Bharat Mata, whether the people of the North east were not the sons and daughters of Bharat Mata. He further added that the Government of India really treats the North Easterners as a colonised people and as second class citizens. Abdulah further appealed that MANPAC warmly welcome every other organisations to join the protest against the CAB to fight collectively. He also further appealed to the people to join the protest and to save the future of Manipur. ‘Yumkhaibam Rohit’, the main accuse to the brutal murdere of Pukhrihongbam Memi Chanu was sentenced ‘hang till death’ and his co-partner Md Farish Shah involved in the crime to ‘life imprisonment’ by the Court of District and Session Judge Senapati today. Two other accused convicted by the same Court yesterday - Rehana (50), d/o Abdullah of Khergao Makha Leikai, Kshetrigao, Farjina (23) d/o Habi of Khergao Makha Leikai, Kshetrigao were sentenced 3 years and 6 years imprisonment respectively. Dead body of Pukhrihongbam Memi Chanu was found stuffed inside a gunny bag floating in Iril River at Arapti Ketukhong area on August 17 last year. 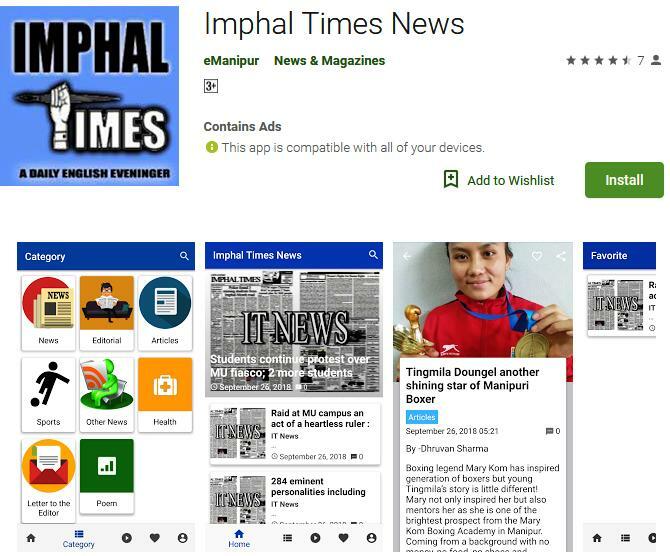 The trial began before the Court against the four convicted individuals identified as Yumkhaibam Rohit alias Rajesh (29) s/o Y Rijauddin of Khergao Makha Leikai, Kshetrigao, Md Farish Shah (18) s/o (L) Faruk Shah of Kshetrigao Thambalkhong Makha Leikai, Rehana (50), d/o Abdullah of Khergao Makha Leikai, Kshetrigao, Farjina (23) d/o Habi of Khergao Makha Leikai, Kshetrigao, as well as the acquitted person, Leishangthem Nungchanba alias Ramesh (35) s/o Yaima of Leishangthem Awang Leikai, after a charge sheet was submitted by the IO of the case following the completion of the investigation, on January 15 and charges were framed the next day. The trial began on January 17 and 28 prosecution witnesses were recorded during the trial. The examination of the convicts and the acquitted individual was conducted on January 31. The trial is one of the fastest in murder case as it took only 20 days. A Noutuneshori Devi, Session Judge, Senapati, convicted the four persons in connection with the abduction and murder case of one Pukrihongbam Memi Chanu, yesterday, apart from acquitting one individual. On February 2, the Court came to the conclusion that the victim died after she was hit, strangulated and had her mouth and nose muffled by Y Rohit and Md Farish Khan in the evening of August 14 last year evening, at Farish’s room. The Court also concluded that the same fact was confirmed by factum and were corroborated with the opinion given by the post mortem doctor. It is heartening to learn that the institution has been serving as an excellent study centre of the State in shaping the future of the young generation for more than three decades, she added. The Governor emphasised that education sector must be a disturb free zone towards bringing development of the nation. Education should not be disturbed at any cost for meeting the ends of some vested interests and appealed to all concerned not to disturb education sector under any circumstances. Considering the profound importance of education in development of a civilization, she stated that peace is pre-requisite for prosperity and people are well aware of it. Manipur inhabited by people of different communities and religions have been living together harmoniously since time immemorial in the State. If we adopt the philosophy of tolerance, then each one of us can go a long way and make positive contribution to the progress of the State and the country as a whole. She gave advice to the young students to inculcate the idea of tolerance to make themselves better human beings and worthy citizens of our great country. The Governor also advised the students to learn to respect each other including life and property of other human beings. She urged them to avoid wasting time by indulging in small talk or gossips rather focus their time on gaining knowledge. Success and joy in life can be achieved when one inculcates discipline, hard work and honesty, she added. Praising the achievements of the students in the curricular and extracurricular activities, the Governor said that the motto of the school - ‘To lead towards enlightenment from the darkness of ignorance’ has been kept alive. She also praised the commendable work of the school in providing assistance to 26 number of Below Poverty Line (BPL) students of the state for education and hostel facility besides the humanitarian task taken up by the school. It is also satisfying to know that the school provides special assistance to the BPL day scholar students with exemption of tuition fees in addition. Extending her wishes to Assam Rifles Public School in all their endeavours towards promoting a high standard of education, she said that the Annual Day Celebration would be an ideal platform for students to showcase their talent and creative values. Later, Governor released the School Magazine for the year 2018-19 and give away prizes to the meritorious students of the school who had excelled in academics and various competitions held at School, District and National Level. Officers of IGAR (South), teachers, parents and students attended the function in which various Cultural programmes were showcased by the students. Bangladesh Army decided to send 1,600 minesweepers to Najran and Jizan to sweep landmines in the southern provinces of the Kingdom of Saudi Arabia. The country’s security experts cautioned the Bangladesh Army not to get involved in proxy wars. Army officials told Imphal Times that in July two Bangladesh Army contingents were expected to reach Saudi states bordering Yemen under a memorandum of understanding to be signed by Bangladesh and the KSA in February envisaging military cooperation. Bangladesh ambassador in Riyadh Golam Moshi told Imphal Times Monday that the two sides would sign another MoU under which Bangladesh army’s minesweepers would participate in sweeping mines reportedly laid by Houthis in Yemen between 2014 and 2016 killing over 1,500 and leaving 3,000 other injured until June. The KSA which heads the Arab Coalition against the Iran-backed rebels in Yemen took the minesweeping project in liberated areas in Yemen bordering Saudi Arabia. Under UN Peacekeeping Mission, Bangladesh Army’s minesweepers won international acclaim for clearing landmines from war torn countries in Asia and Africa. But it would be for the 1st time that the Bangladesh Army would participate in any minesweeping operation under a bilateral framework. Retired Major General Shahidul Hoque said Monday minesweeping by Bangladesh Army would look nice so long it only sweeps mines in Najran and Jizan. But if the Bangladeshi soldiers cross the borders to sweep mines in Yemen it would grossly flout the foreign policy of Bangladesh as it would tantamount to involving Bangladesh in ‘proxy war’ between Saudi Arabia and Yemen. In May 2017, following KSA’s request Bangladesh agreed to send its army to Saudi Arabia only if Makkah and Madinah came under attack. Bangladesh Institute of Peace and Security Studies president retired major general ANM Muniruzzaman said it would be too early to comment on the issue before knowing the pros and cons of the proposed MoUs from the Bangladesh Army.While talking on the proposed MoUs, Inter Services Public Relations director Lieutenant Colonel Abdullah Ibn Zaid said that the army would definitely keep the public informed if needed in due course. He told Imphal Times that the ISPR had nothing to share ‘right now’. ISPR officials said that Bangladesh Army peacekeepers earned international acclaim by sweeping landmines from Kuwait after 1991.During the demining process in Kuwait 270 Bangladeshi soldiers lost their lives and 56 others were wounded, according to a Kuwait Times report on Kuwaiti-Bangladeshi military ties distinctive: Senior officer’ published on November 22, 2016. As the Army was highly trained in minesweeping Brig General Mohamamd Turki Al-Gaml, defence attaché in Saudi Embassy in Dhaka requested the Armed Forced Division in October to send troops under specific instruments. SKY Hospital & Research Centre Pvt. Ltd. has successfully conducted Free Heart Screening Camp at Meherpur, Silchar 5, Assam in association with PC Hridayalay : A Poly Clinic and Heart Care Diagnostic Centre, Meherpur, Silchar 5 Assam On the next day, a full day free heart screening camp was also conducted at Jiribam District of Manipur at Lairembi Phampak Club. At the 2 camps, SKY Hospital has provided free Heart OPD, free Echo, free ECG and free Diabetes tests to the people of Silchar, Assam and Jiribam District of Manipur. In both the free camps all together 116 patients were seen, of these 28 patients were provided free Echo Screening, 32 patients free ECG and 56 patients free RBS(Blood Sugar Test). Altogether 13 patients were found having heart problems which would require further treatment at SKY Hospital soon. Dr L.Shyamkishore Singh Chairman & Chief Cardiologist of SKY Hospital & Research Centre Pvt. Ltd asserted that SKY Hospital in association with other interested parties from North Eastern Region would conduct such free heart camps in the peripheries of Manipur and other states in the North Eastern Region of India.